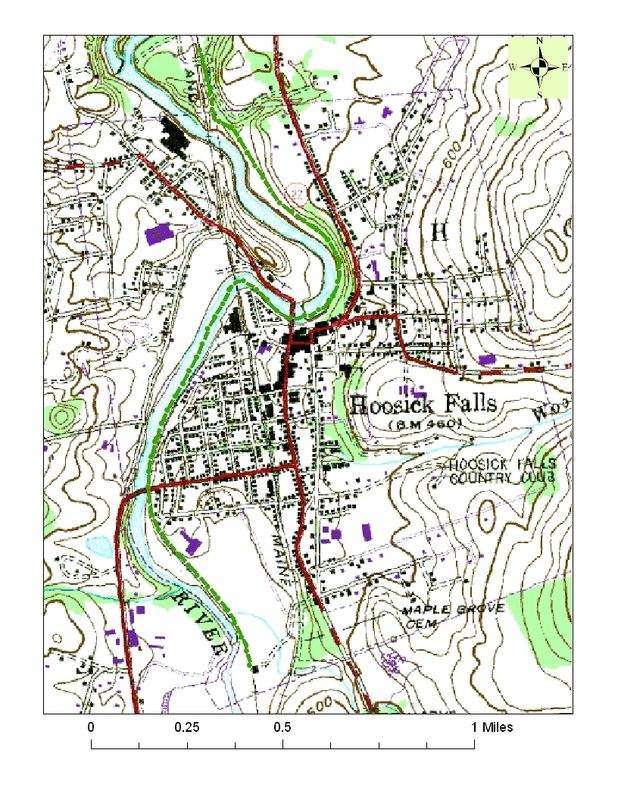 In partnership with the Village of Hoosick Falls, HooRWA proposes to create a Greenway extending for about 2.5 miles along an abandoned rail corridor adjacent to the Hoosic River. The Greenway will run through the Village, and will provide abundant opportunities for walking, biking, running, and winter uses; for floating and fishing access; for historical and nature interpretation; and for other outdoor recreation; as well as affording access to shops and restaurants in the Village’s commercial business district, thereby promoting the Village’s economic development. For the latest information on this project you can visit the Greenway website at http://www.hoosicrivergreenway.com/. You can also get there from here. The Greenway will provide access to the Hoosic River and surrounding areas so that residents and tourists can enjoy the region’s beautiful environment through recreational and educational exploration. To this end, both land and river access points are to be included in the design elements. Building the Hoosic River Greenway is a multi-year project with several distinct components, i.e. the design of the trail, including layout of the trail and its access points, design of parking lots at access points, placement of educational kiosks and signage, placement of benches and other amenities, and landscape design. The southern section was resurfaced in 2012. The northern section will be resurfaced later this year. Before and after photos of the southern section can be viewed by downloaded the following pdf file.